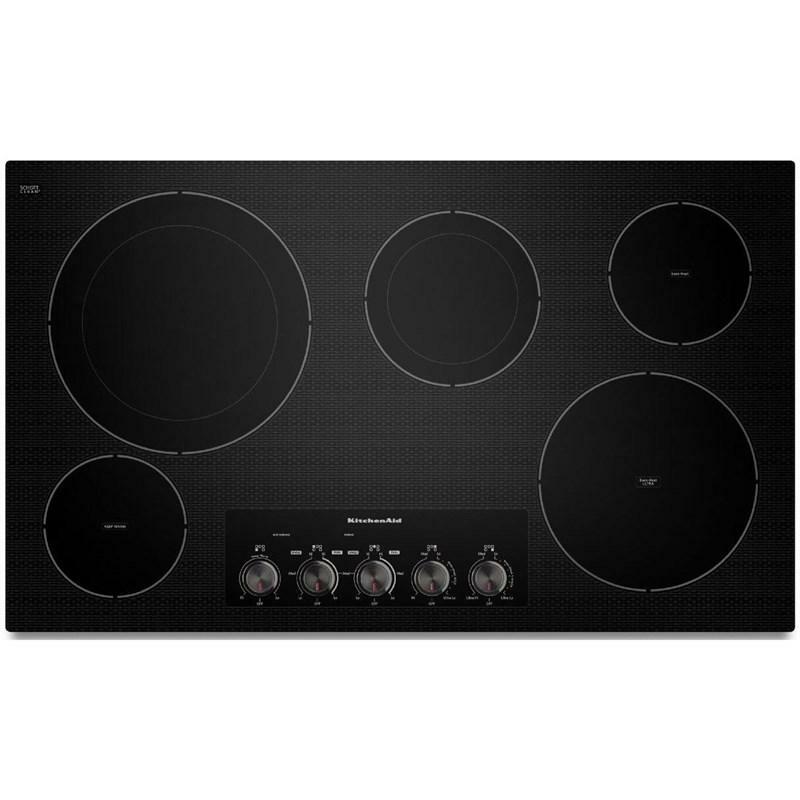 This 36-inch 5-element electric cooktop with Even-Heat™ technology features double-ring elements with two element sizes creating the versatility to match cookware size to power needs, Simmer and Melt functions that help take away the guesswork and provide exceptional simmering or melting, and metal control knobs that reflect the premium look and feel that is built into the cooktop. Burner/Element Size Left front element: 6"; Left rear element: 12"/9"; Center rear element: 8"/6"; Right front element: 10"; Right rear element: 6". 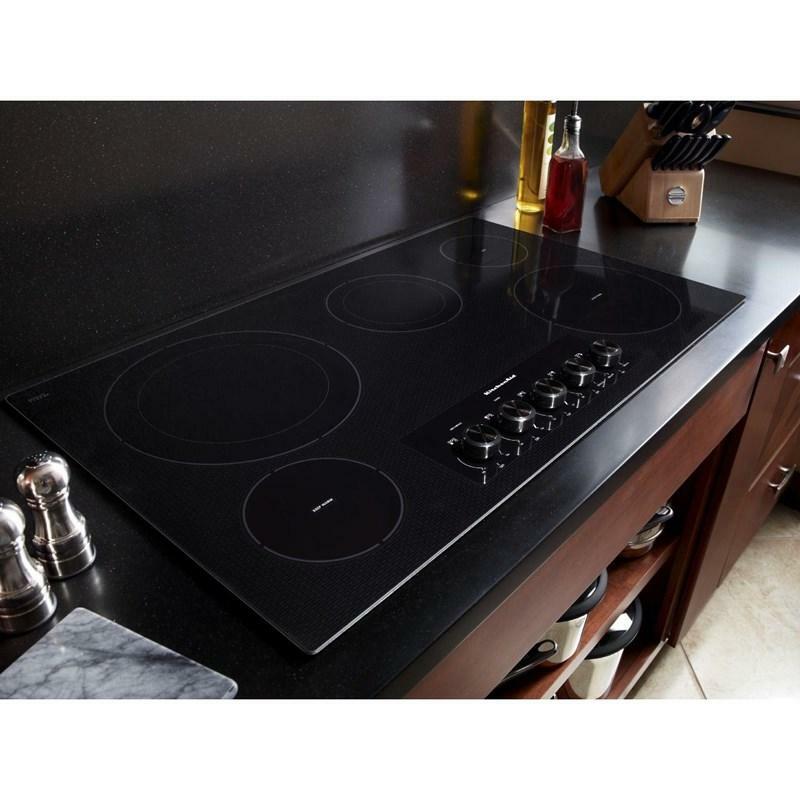 Additional Information Five radiant elements let you cook more at one time. 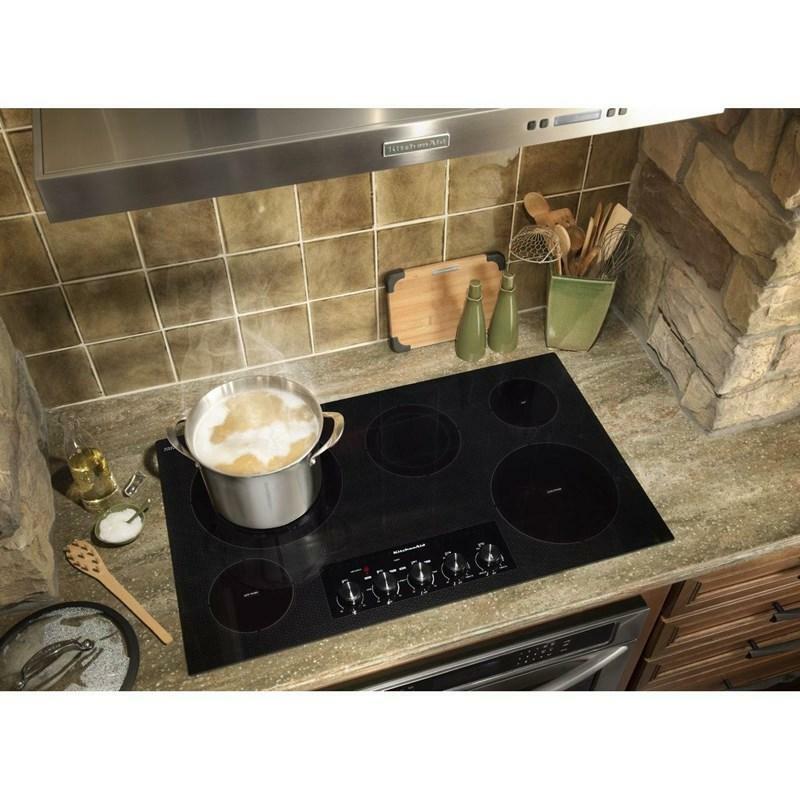 Multiple sizes let you closely match element size and power to cookware; Double-ring elements feature two element sizes, creating the versatility to match cookware size to power needs; Simmer and Melt functions help take away the guesswork and provide exceptional simmering or melting; Premium ceramic-glass surface includes a subtle watermark and wipes clean easily to maintain a stylish appearance; Metal control knobs reflect the premium look and feel that is built into the cooktop; Power-on light indicates at a glance when any cooktop element is turned on. Warranty Limited 1-year parts and labor; Second through fifth years limited warranty on certain component parts.